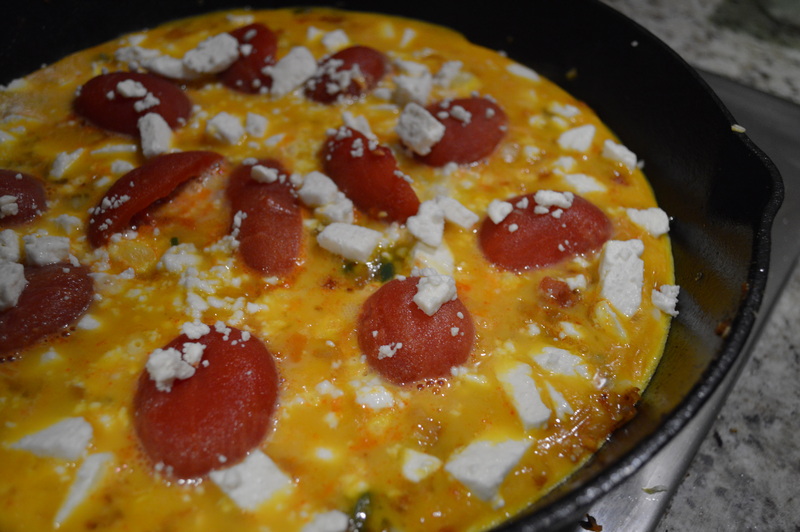 Egg Series Day 4: Storing Fresh Eggs and a Spicy Frittata | Bloom. A few of my friends have reached out to me recently and commented about how “pretty” the brown eggs are in the pictures from this week’s Egg Series. This made me smile. They are pretty with their shades of brown. Some have little spots that look like freckles. And I am kind of proud of them. But, to make sure eggs stay fresh and safe I keep them in the refrigerator. It best this way. Plus, if eggs are in the fridge they can keep up to five weeks. 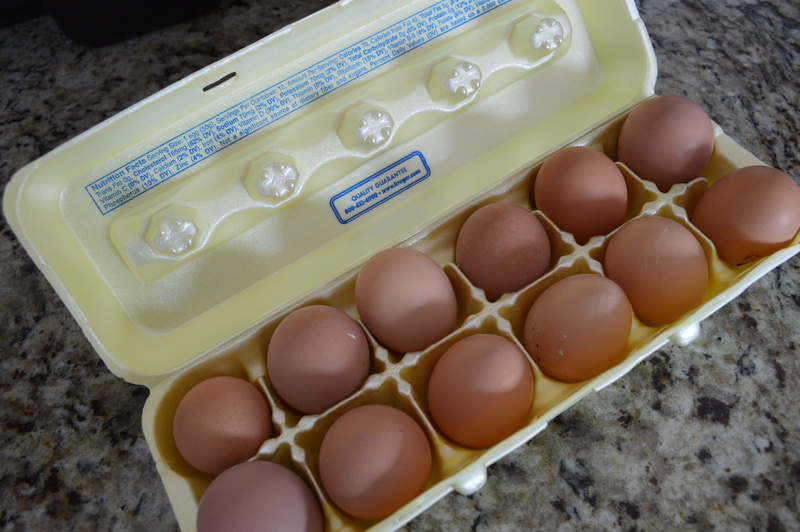 We have asked friends and family to help us out and save their egg cartons to store all the eggs. The bloom helps to seal the pores, keeping odors and bacteria out. 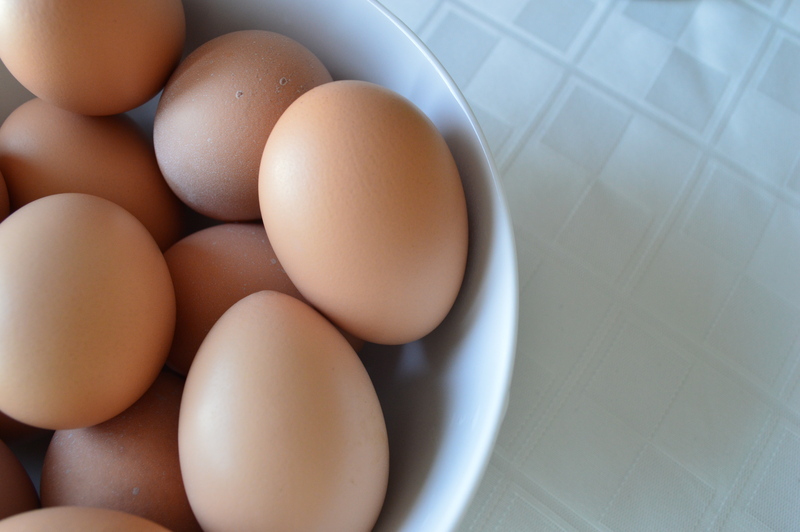 To protect the bloom on our hen’s eggs we do not wash our eggs until we are about to use them. Commercial eggs from the grocery store are washed and then coated with an oil to reseal the pores. Paleo/Low Carb/Gluten Free friends? This is great for you! Heat olive oil in cast iron skillet or other oven proof skillet. 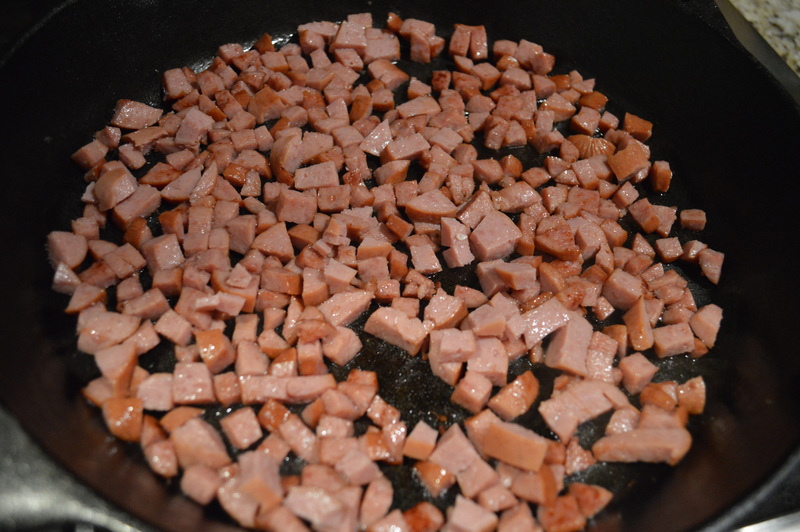 Add chopped sausage and cook until lightly browned over medium heat. 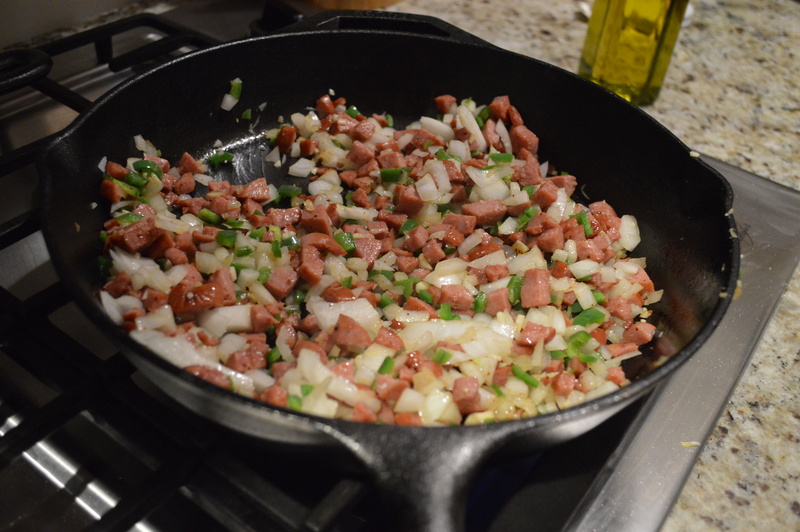 Add the peppers, garlic, and onions and saute for about three minutes. Stir in spices and salt, cook for one more minute. Spread sausage and veggie mixture around the bottom of the pan. This will serve as a “crust” for the frittata. Add sliced tomatoes to the top of the meat and veggies. It can look as pretty as you want it to. 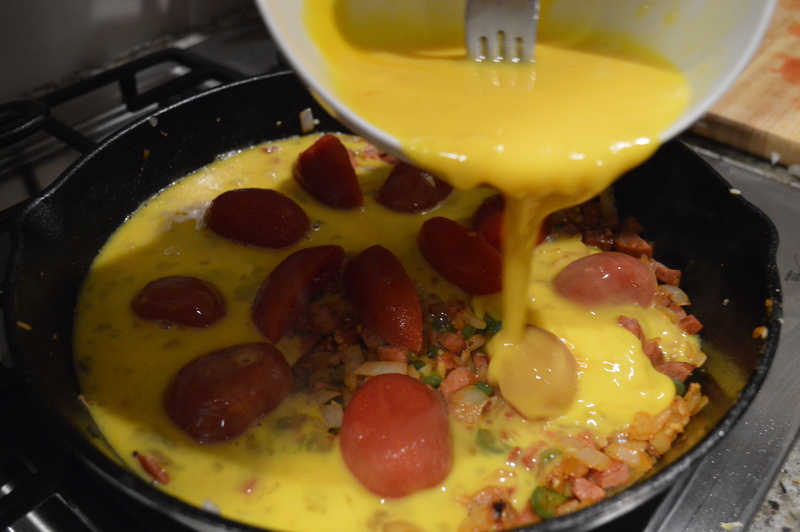 Pour in whisked eggs. Let cook for thirty seconds then lower heat to low. 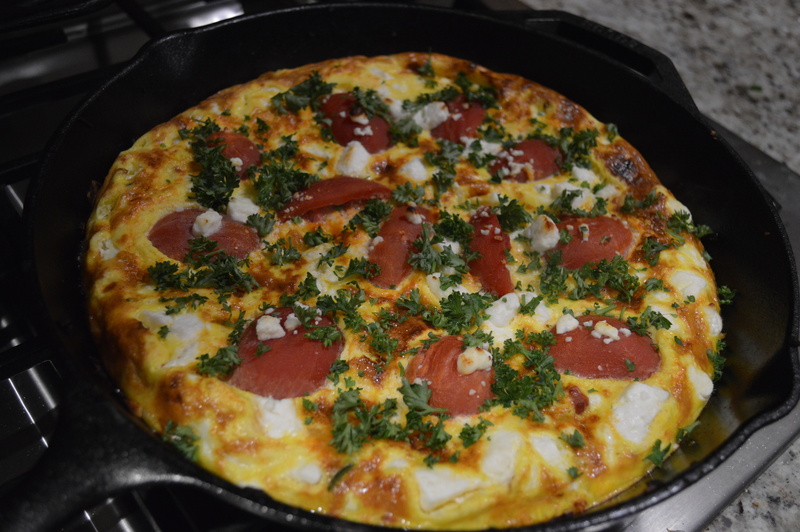 The warm thirty seconds will set the bottom of the frittata. Then you want it to cook slowly. Continue to cook on low for ten minutes. While cooking, turn on broiler to high. 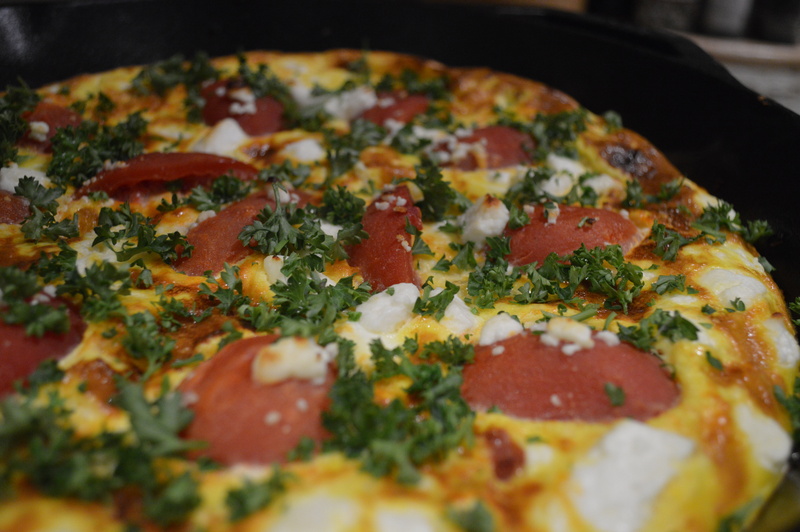 Add feta to the top and cook for another three minutes. The sides should be set, but the top should still be a little runny. Carefully place skillet into the broiler. Cook for three minutes. The frittata will puff up and become lightly brown. Cut like a pizza and enjoy!